The Dig reports on the month long display by the Dorchester Art Project. The Zoning Board of Appeals yesterday approved plans for two condo buildings for artists on what are now city-owned vacant lots on Terrace Street. Read more. 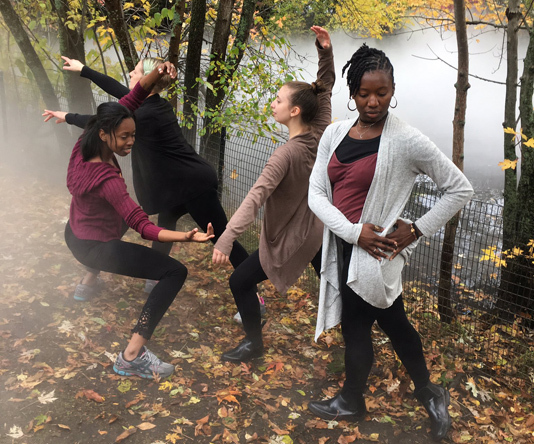 Paul Levy watched dancers from Abilities Dance Boston performing in some Fog x FLO fog at Leverett Pond today. Greg Cook's Wonderland reports the DeCordova is on the verge of financial collapse and that officials hope a Trustees of Reservations takeover would help get the museum on its feet again. The move would require approval from Lincoln Town Meeting. 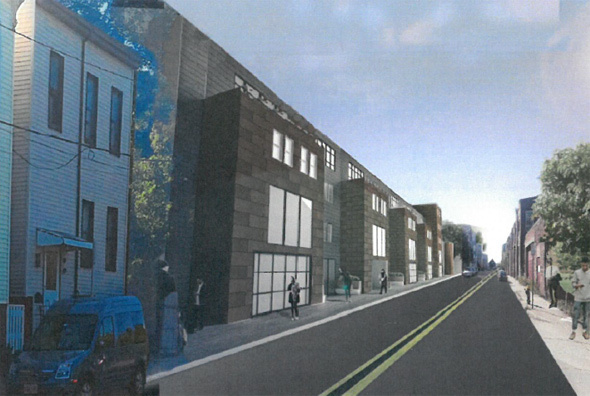 The Neighborhood of Affordable Housing has filed plans with the BPDA for a 33-unit apartment building - half reserved for artists who would have access to private studios - and a 7-unit condo building on Condor Street between Brooks and Putnam streets in East Boston. Read more. 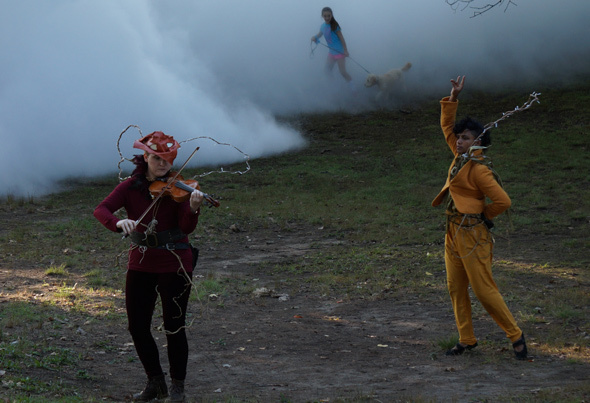 To go along with the Fog x FLO display at Jamaica Pond today, Mattia C. Mauree and Pampi put on a performance every half hour while the fog was fogging. They didn't have much time for any of the performances - the fog only comes on for about two minutes. It's not often a steam roller gets to make art. Go big or go home, some artists in Hyde Park decided. 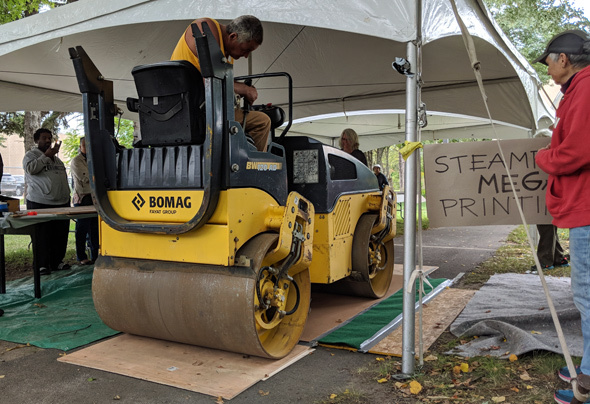 They cut out large blocks of wood or linoleum, then used a driveway steam roller to create prints, at the annual Urban Arts Festival at the Martini Shell on Truman Parkway. 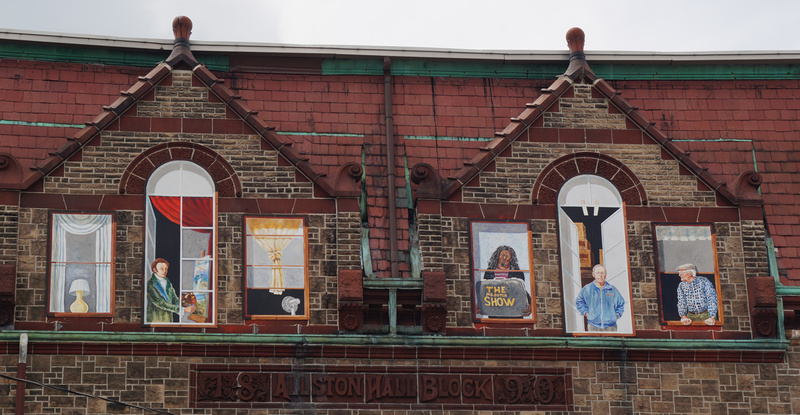 First, an artist would ink up a block: Read more. 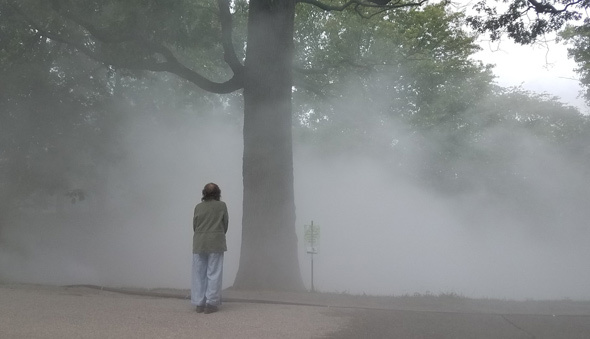 The Emerald Necklace Conservancy yesterday turned on Fujiko Nakaya's Fog x FLO fog displays at several locations, from Jamaica Pond to the Back Bay Fens. Clay Harper visited several of the locations today. Vasant Marur visited the Fens location - and watched BFD roll up after somebody reported the "fog" as a fire (to be fair, the Fens do have a rep for catching on fire fairly easily): Read more. WBUR reports, quotes a Northeastern official who told the reporter to stop listening to lying liars, so you can tell things are going well. In the meantime, here are photos of some of them. Read more. 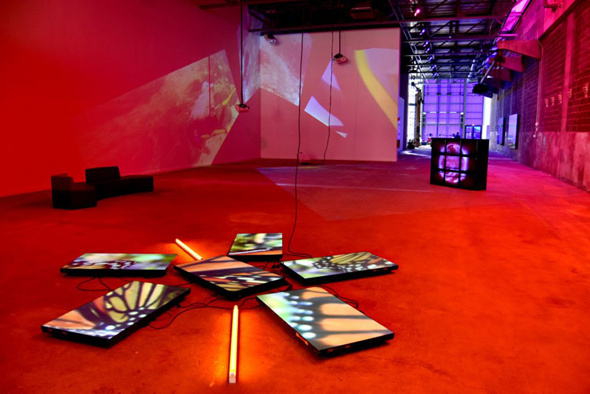 Greg Cook takes us inside the Watershed - the former copper-pipe facility in the Boston Harbor Shipyard the ICA has turned into an exhibit space. It formally opens on July 4. Greg Cook explains why artists and musicians were protesting at an annual Harvard music festival today - the Harvard Square business association that organizes it is headed by the property owner who kicked them out of the EMF building in Central Square. Redsox223 took in the neon signs on display on the Rose Kennedy Greenway, including the official UHub neon sign - the old Fontaine's chicken. Copyright Redsox223. Posted in the Universal Hub pool on Flickr. Adam Castiglioni watched artists at work on the Greenway at Dewey Square today as they painted Shara Hughes's mural. 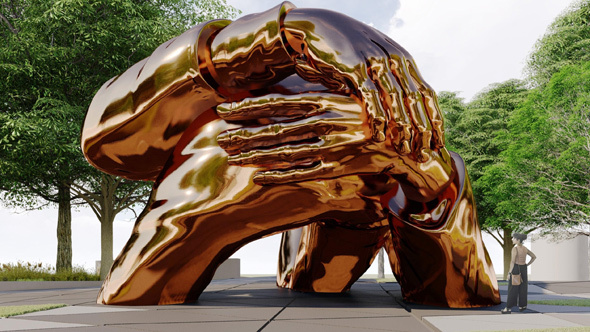 Beth Treffeisen reports the Boston Arts Commission has narrowly decided to remove the Landwave sculptures in Peters Park that were meant to harken back to the area's days on the edges of Boston, but which instead turned into a dangerous playground for skateboarders and climbing kids. After removing the work, the commission will put up a plaque to commemorate it. Teddy Kokoros watched chalk artists at work, as part of the Harvard Square MayFair. Cambridge Day reports on the EMF Building situation.
" 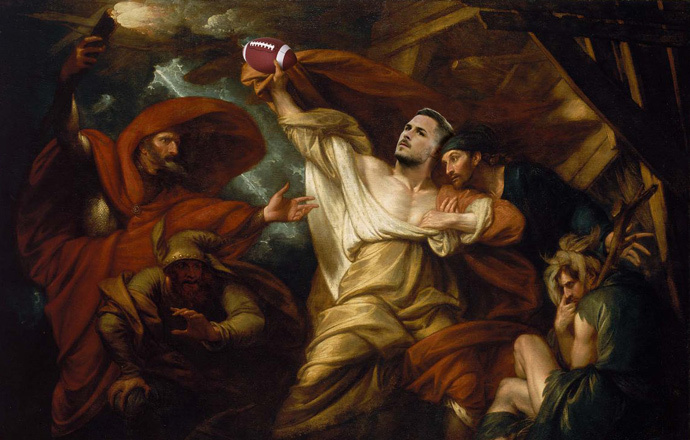 It won't matter what the @Eagles do—Danny 'Playof' ”Amendola will come through!" The MFA and the Philadelphia Museum of Art battled it out today in Musuem Bowl 2018. Also see: BPD vs. Philly PD.